Metro Rail News conducted an exclusive Media Interview with Kshitis Nadgauda, Managing Director of Louis Berger. Mr. Kshitish Nadgauda is a Managing Director of Louis Berger. 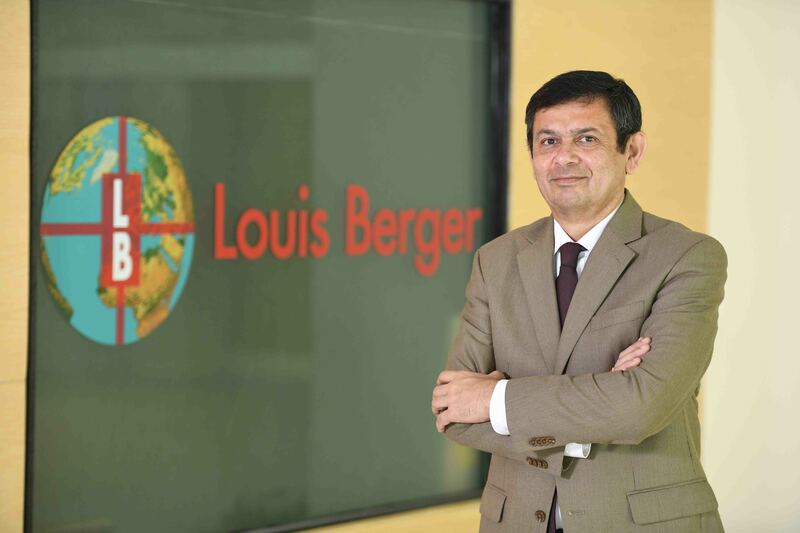 Before Joining to Louis Berger, he was based in Oman and New York and held leadership positions at Parsons, a leading engineering, construction, and technical services provider. He has also served at Tams Consultants Inc. an engineering consulting firm in New York, and at Larsen & Toubro, an Indian multinational conglomerate. 1. At the outset, please accept our heartiest congratulation on being awarded the project of Mumbai Metro Line 4. When is this project likely to start? And what different strategy you are going to adopt? Thank you very much! Our services on the project commenced in the first quarter of 2018 and are now well underway. Our intent is to deliver high-quality services to our client and to the project closely working with the client and our partners. Our goal is to work towards ensuring the completion of the project on schedule and within the allocated cost. We will also be working towards fostering a strong culture of safety during construction, both of construction workers as well as of the traveling public. Before starting to know about your professional profile. I would like to know first about vision, mission and working culture of Louis Berger. At Louis Berger, we believe in a working culture founded on integrity, with open and transparent communication internally and externally. We pride ourselves on our business as well as professional ethics, and always endeavor to exceed client expectations on projects. Our mission is to bring Solutions for a better world, and we achieve our objectives on projects by adhering to our core values: Safety, Quality, Integrity, Financial Success and Customer Satisfaction. We encourage our employees to be passionate about their work and to contribute to society through our work. What are the challenges you faced while completing the Mumbai Metro Line 1 project? And what is your assessment of reason behind the bottlenecks in some projects? Mumbai Metro Line 1 faced challenges that most urban projects experience. These included delays as a result of previously unidentified live utilities that were encountered during construction. The process of addressing these utilities was time-consuming and adversely impacted the overall schedule of the project, as well as the cost. In addition, obstructions within the right-of-way in the nature of properties to be acquired also resulted in delays. In addition, the metro line crossed existing railway lines. The approval process by Indian Railways for the resultant bridges required over the railway lines further delayed the project. The problems encountered on the Line 1 project are the typical reasons why most urban projects, including metro rail projects, experience delays. I am feeling proud to having worked with Mr. Perfect (as I used to call him), Kshitish, for almost 10 years in Oman. Well done Kshitish.